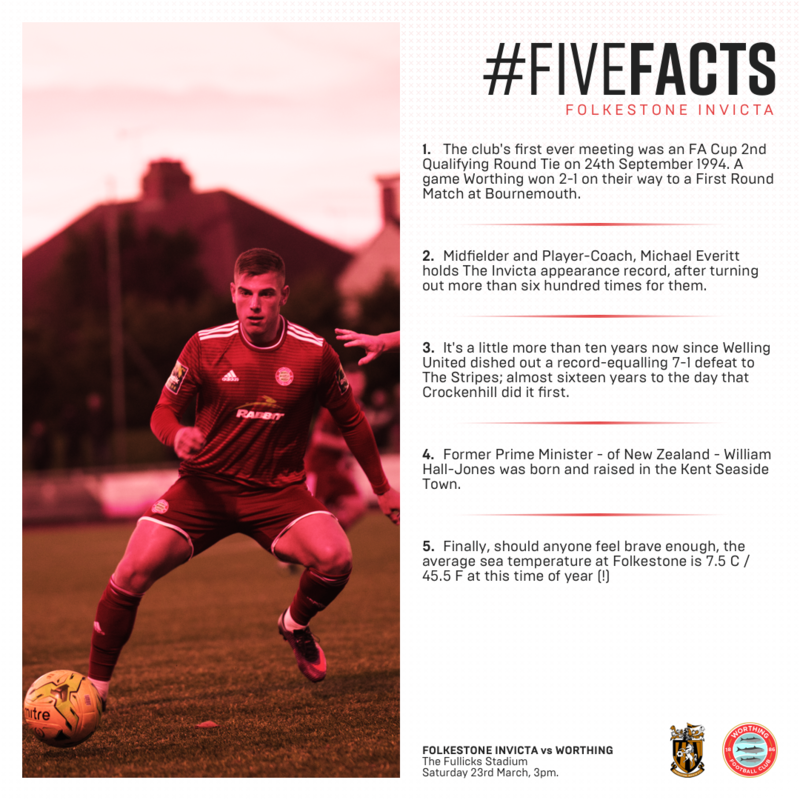 Here's Five Facts on Folkestone Invicta Football Club ahead of our Away fixture on Saturday 23rd March 2019. Did you know..? 1. 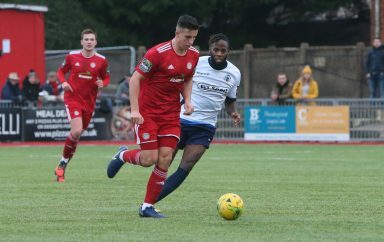 The club’s first ever meeting was an FA Cup 2nd Qualifying Round Tie on 24th September 1994. 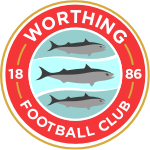 A game Worthing won 2-1 on their way to a First Round Match at Bournemouth. 2. 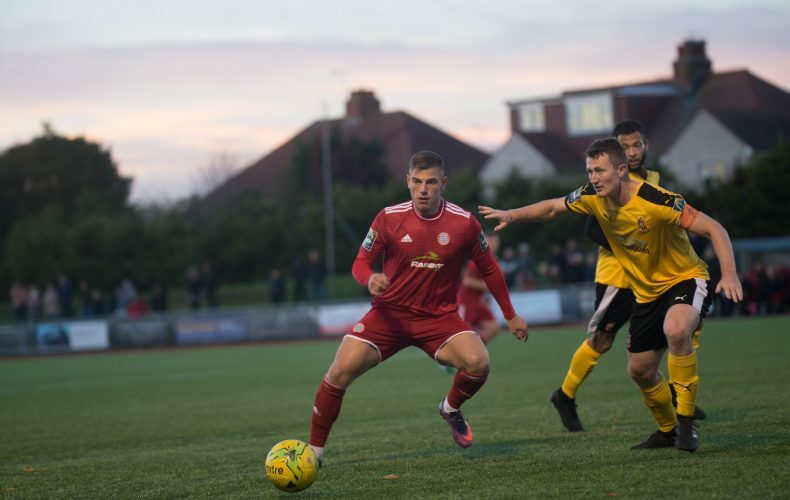 Midfielder and Player-Coach, Michael Everitt holds The Invicta appearance record, after turning out more than six hundred times for them. 3. 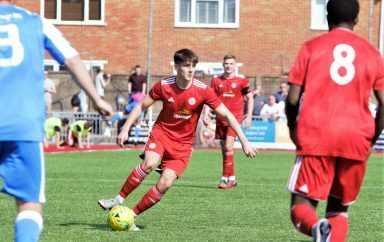 It’s a little more than ten years now since Welling United dished out a record-equalling 7-1 defeat to The Stripes; almost sixteen years to the day that Crockenhill did it first. 4. Former Prime Minister – of New Zealand – William Hall-Jones was born and raised in the Kent Seaside Town.